A cultural icon recognized throughout the world and adored by little girls everywhere, this famous structure is the largest and most visible attraction at Walt Disney World. 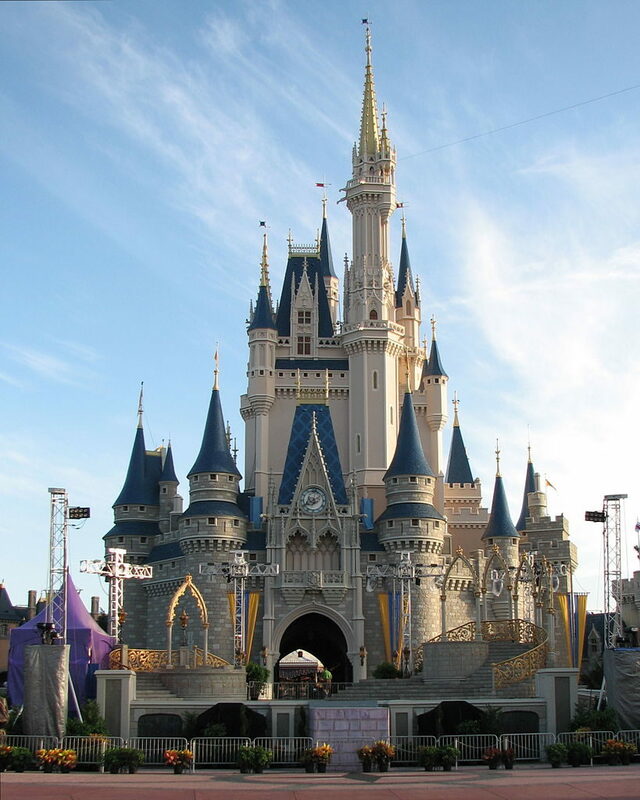 Self-titled “The Most Magical Place on Earth,” much of the charm of Walt Disney World is encompassed by this fairytale’s castle. Beginning on January 25th, patrons of Disney will, for the first time, be able to stay in the castle over night. A stay in the newly constructed royal suite will be awarded to a Disney guest almost every afternoon for the next year, allowing that guest and up to five others to spend the night in a castle built for a princess. The Cinderella’s Castle Suite is part of Walt Disney’s Year of a Million Dreams and the Disney Dreams Giveaway. The contest includes a variety of prizes but the stay in the Castle Suite is the mostly highly anticipated. The suite was built specifically for the giveaway and Disney Imagineering teams worked to create a magical suite that’s fit for Cinderella herself. Stone mosaic floors, stained glass windows, canopied beds with feather comforters, gray stone castle walls, a plush sitting area and a bathroom with hand painted copper basins atop an ornate vanity completely encompass guests in the original 17th-century style in which the castle was built. A few modern conveniences accompany the 300 year-plus styling. A Jacuzzi is tucked under one of the many stained glass windows and a large framed portrait of Cinderella turns into a hanging flat-panel television. The space used to create the suite was originally intended to be an apartment for the Disney family, but it was never completed and at most, it was used as a staging area for shows and events within the park. In addition to their stay in the Castle Suite, the winning family is ushered to a variety of ‘royal’ events. Grand Marshals in a Disney parade, dinner at Cinderella’s Royal Table, and an extra two hours in the park after the scheduled close time to enjoy the rides and attractions while being escorted by a VIP Guest Relations member are just some of the perks included in the grand prize. As the royal adventure draws to a close, guests are awoken with a personalized wake-up call from Cinderella. The winner is chosen randomly from a computerized system that provides a time and location. Winners are selected from anywhere within Magic Kingdom or Downtown Disney and because nothing is required to enter except being in the right place at the right time, many of the guests may not even be aware of the contest until they’re approached by an official informing them that they’ve won. After that, it’s off to live in a fairytale loved by people of all ages. There’s even a real glass slipper.